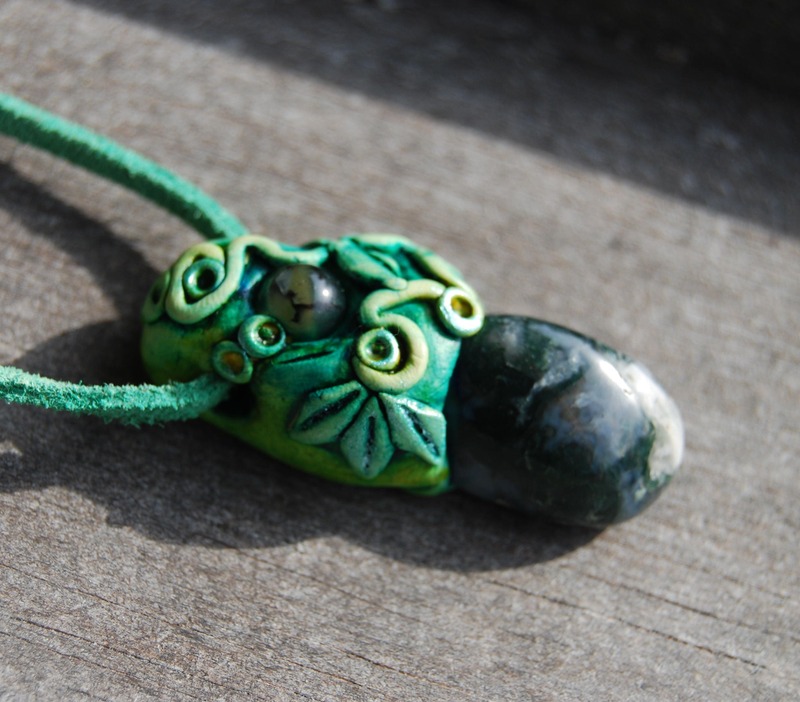 This is a lovely polished Moss Agate embedded in a handsculpted durable fantasy clay setting. 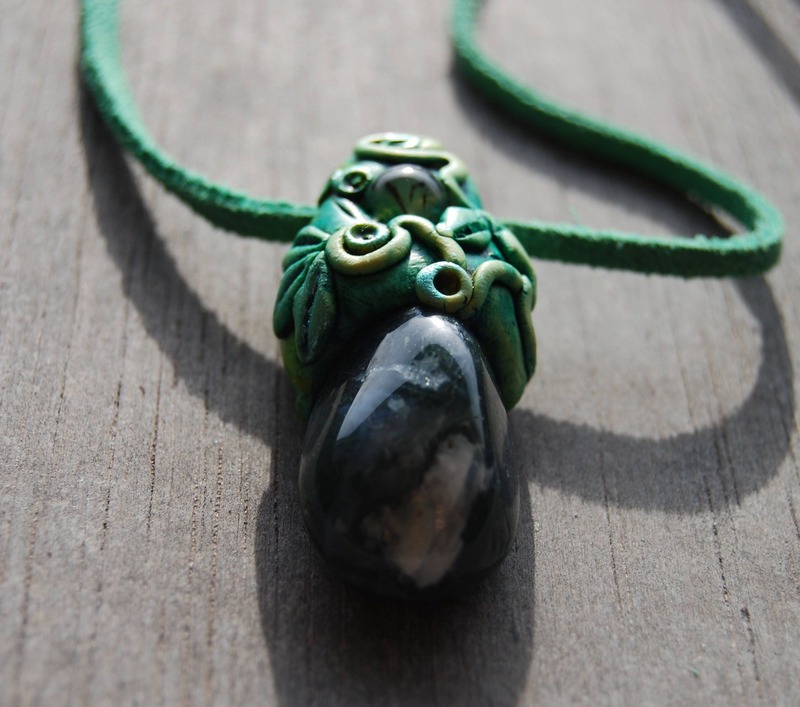 Moss Agate has a number of excellent qualities, including grounding excess spiritual energy, down through the base and earth chakra to Mother Gaia. It resonates a lovely heart based vibration, that most of you will find useful to have in your life. 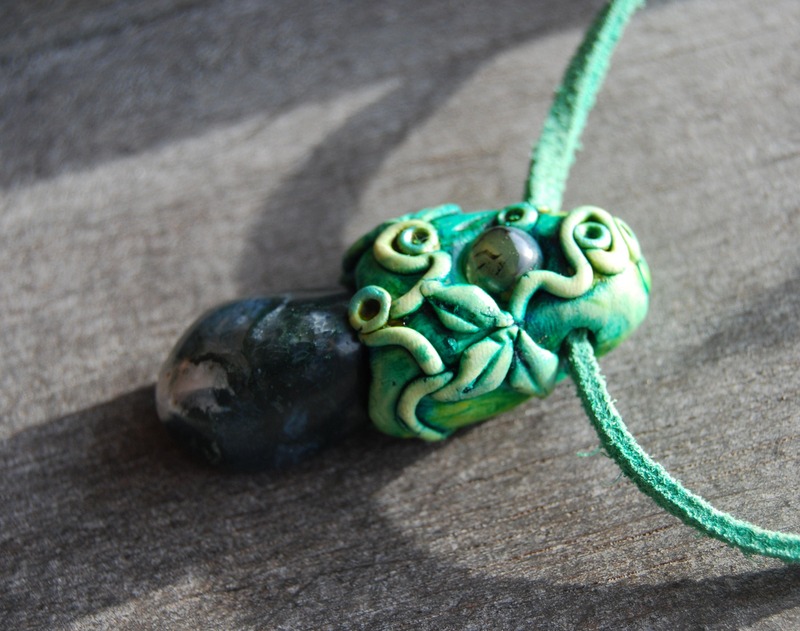 It has balanced enduring energy and grounding ability, with sound metaphysical properties that are known to aid abundance and prosperity and stimulate creativity. 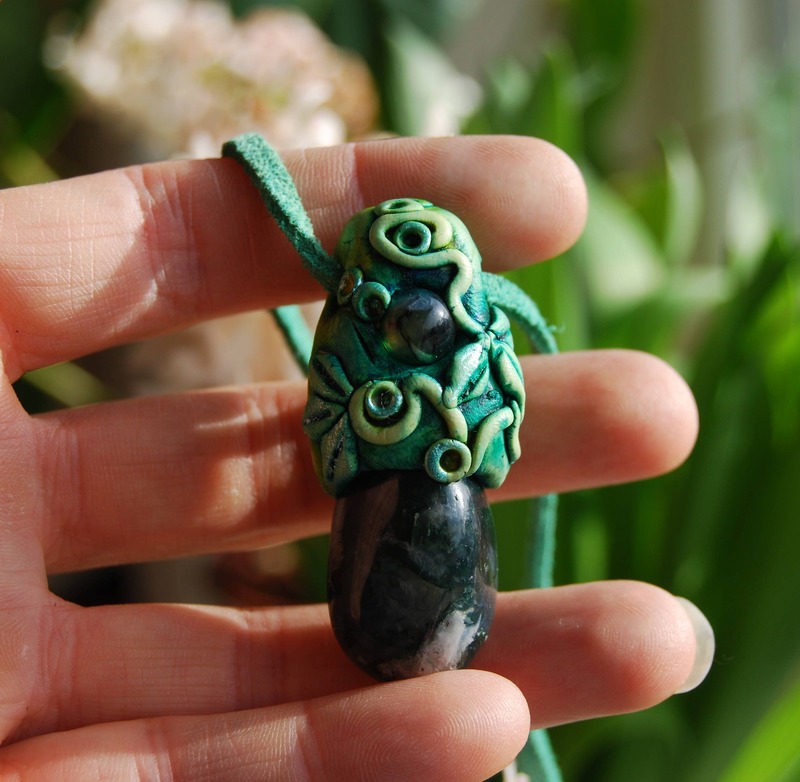 This green stone may assist you to correct imbalances between the two sides of the brain, and it is a quite spiritual stone. 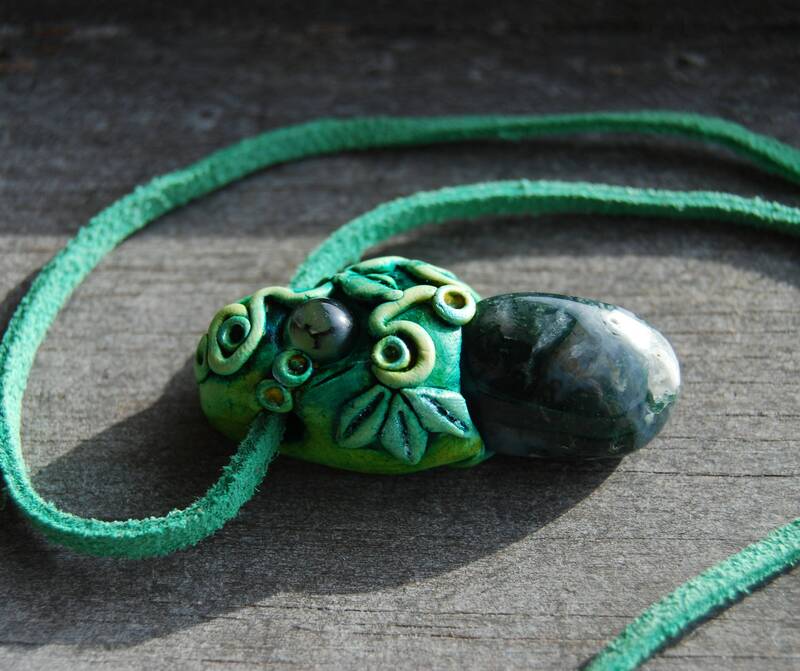 The vibration of this stone brings you strength and courage, and will help to lessen fear and stress and may aid you to attract nature spirits. 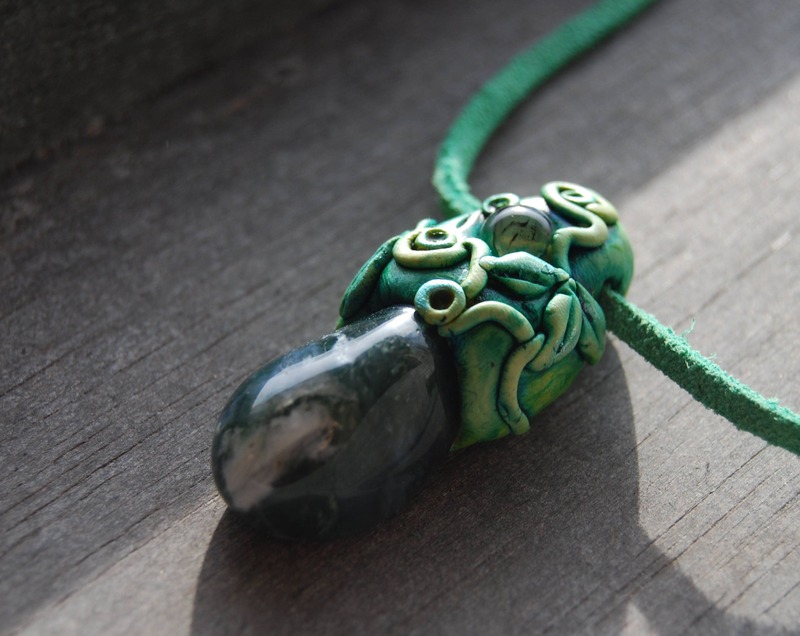 Made with quality clay so it's durable. However, dont wear it while swimming or showering. Some raindrops are fine though. Size is 5.3 cm / 2.1 inches from top to bottom.